Insist on VBL™ Runners, Holders and Adjuster Bars to ensure optimum plow performance and safety. VALLITE™ heat-treated (thru-hardened), grey iron and carbide-tipped runners are available for any application*. Standard “2-way” as well as “mushroom” style runners are available. The innovative VBL™ trailer ball mushroom shoe rotates in any direction to promote even wear. Tungsten carbide inserts brazed into specially prepared grooves in the runner greatly increases wear life when compared to conventional runner. 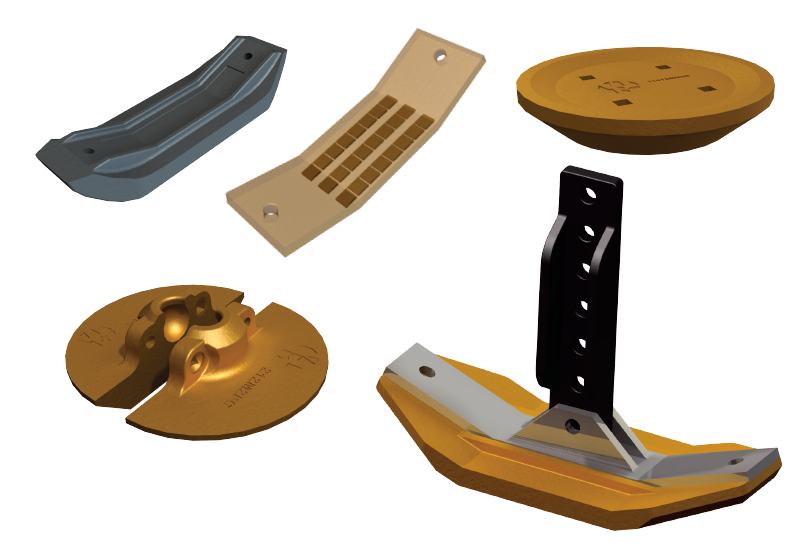 This makes carbide runners ideal for severe wear applications.